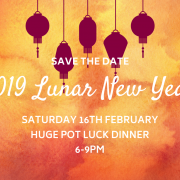 Lunar New Year Pot Luck Dinner! Lunar New year is all about getting family & friends together, eating and celebrating. 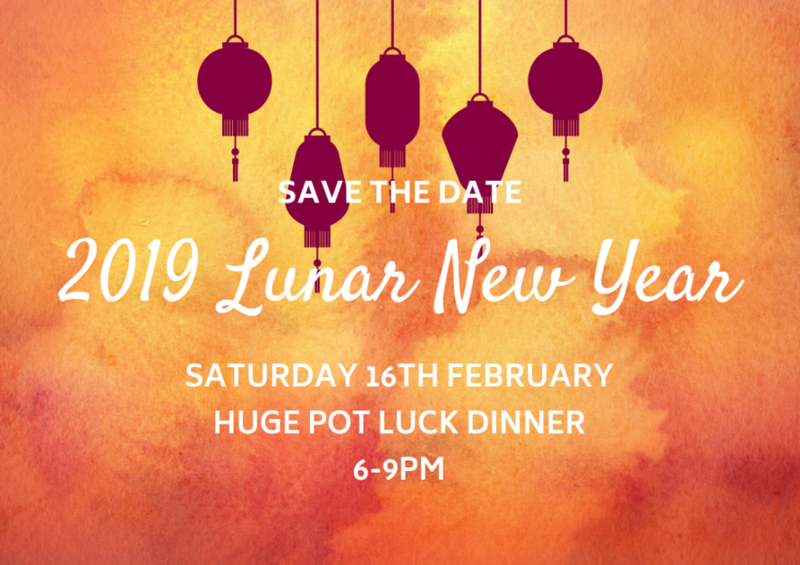 So join us this year on Saturday 16th February from 6-9pm for a HUGE POT LUCK dinner. Bring your favourite dish, and we will provide drinks, games and entertainment. This is a great plus one event, so invite your friends along. Cost: $5 per person or only $15 for family. For further information, please contact Ps. Zoe Stewart in the church office on 9875 0300. Registrations close on 12th February.